1. Sleek i-Divine Storm Palette: One of the most used products you've really have very beautiful colors then I really like munch anything for their bronze and neutral colors and brown color I use a lot. 2. Holika Holika Wonder Drawing Eyeliner Pen: I tried other eyeliners this year and they were meh, I think I did another review of another eyeliner but this has been very great, I'm in love with the brush tip and I really like the precision and pigmentation. 3. Avon Highlighter Eyeshadow Pen: I love this highlighter, comnzó being a shadow eyeshadow or pen and ended up being a great illuminator use it for subtle contouring and naturally my face. 4. Lioele Dollish Eye Shadow [Triple] : Although it has much glitter is not very pigmented and is ideal for when I don´t want to use too much makeup, plus it keeps the eyelid quite what I love so much, my fav colors are the pink and green. 5. AVON super eXtend Mascara: One of my favorite products to lengthen my lashes, another thing I love is that I can not use smudge and even on very hot days. 6. ETUDE HOUSE Oh! My Eye Lash Slimcara Volume & Curl: This is my latest acquisition and is about a love volumen.Se kept very well despite the heat or water and it really is great because it gives a lot of volume to your natural lashes. 1. ETUDE HOUSE Dear Girls Be Clear BB Cream: ( ◠‿◠ ) This year I used many BB Creams, Foundations've done some reviews of others not, what matters is that I love this BB Cream because it has great coverage and looks good with my skin tone. Some commented on my video review on this product that was not my tone, but I want to clarify that they were seeing my Bare Face that is nothing obviously coverage would be noticed, this BB Cream is what I have used in many of the photographs I have taken this year so there it looks pretty natural. 2. MIZON WATER VOLUME MOISTURE B.B CREAM: This BB Cream was an adventure he had never purchased any product of this brand, love their texture is very watery, that maintains moisture on my skin also has good coverage.っ(´･ω･`) I hope to try more BB Creams with this kind of texture that I love, ヽ(*´ｪ｀*)ﾉ I love it because it is ideal for oily face that controls the oil moisturizes but something that is very, very complicated, because the BB Creams that are designed for oily faces sometimes dry out much skin and that cause breakout. Moisturizes the skin and leaves it soft as Korean celebrity. 3. DOLLYMATTE Mineral Powder Natural: I have not been fans of the loose powder because I previously used caused acne and left forgotten. I this japanese product and I really love is a love has a quite natural beige color is not as clear as many Korean products which I think is important.٩(๑ơలơ) I like it because is very fine and soft and I can use it daily without cause acne I recommend it 100% because it reduces the brightness of the skin. 4. TONYMOLY Dear Me Petite Cotton Pact: Although many of you think that this product looks like a toy for girls but this powder is my favorite of the year, it gives a pretty good coverage, stays for many hours, even days with heat stays pretty well. ⊂(´ω´⊂)))And I'll buy it again because I love it. 2. 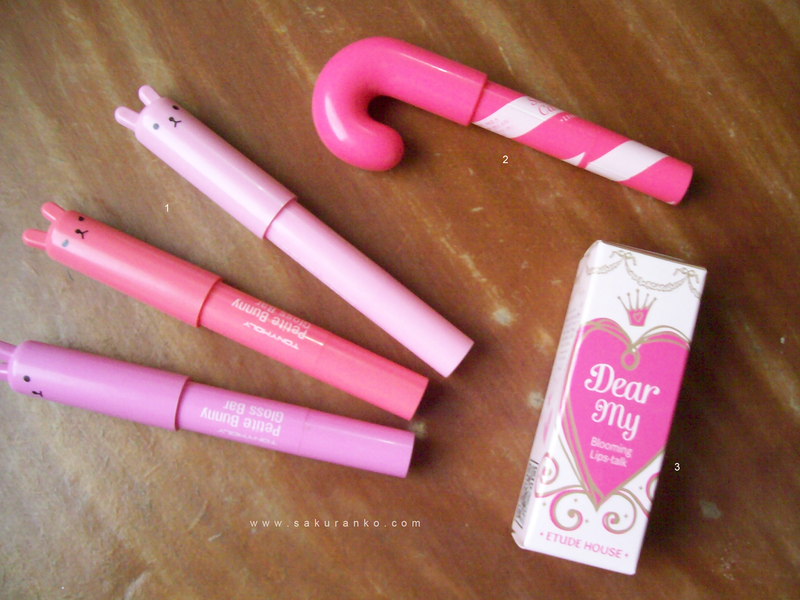 ETUDE HOUSE Sweet Recipe Candy Stick Strawberry Candy_: I love its essence, aroma, color, has a bit of style then the color tint remains on the lips. I use it almost daily and I can increase the intensity of color. （＾ω＾） Tastes delicious. 1. b·liv Shrink and tighten+: It is an excellent product to reduce the size of the pores and moisturize the skin, I really love it because it absorbs super fast and the effect is immediate also that is a concentrate of vitamin C that super important in skin care. 2. b·liv Off with those heads: I have tried many Nose strips and really are a waste of money for not working on the problem is to remove the accumulated oil in our pores this product helps to visibly reduce quickly the size of the pores. In addition to very simply helps eliminate the white-heads and blackheads. 3. A'PIEU Pure Block Natural Sun Cream Waterproof: Something that is very harmful and damaging is the sun so we have to protect our skin well. I love this sunscreen because it is water proof live in a tropical country where sound cute but no one sweats quite by high temperatures and humidity so this is great also has a high SPF. 4. TONYMOLY UV Sunset All Over Sun Mist: It is a very light spray and sunscreen.（＾Ｏ＾）♡ And I love it! 5. KOSÉ Softymo Renew Wash: This is a cleanser that moisturizes my skin and leaves it so soft as baby skin, I love that deep cleans but also moisturizes and does not leave my skin dry. 6. b·liv Japan Silk Mask Bright is Right: It is a mask sheet, which illuminates the skin and slightly decreases the size of pores. Give a healthy and beautiful skin appearance. It is definitely my favorite. 7. LA MER The Eye Concentrate: It is a product that is to improve the contour of the eyes since I have naturally puffy eyes and that gives me a little wrinkle, especially when I have days without sleep for the exams. It´s amazing how improves the appearance of that area of my face is like a mini bottle photoshop, this brand is very expensive and I received this product by Giveaway. I hope you have an Amazing and Happy New Year 2014! Those TONYMOLY bunny gloss bars are the cutest things evah! I really want to get the TonyMoly bunny gloss bars! Sooooo adorable! You are so right,year just flows by so fast,and never stands still there.Anyway,Happy New Year!!! 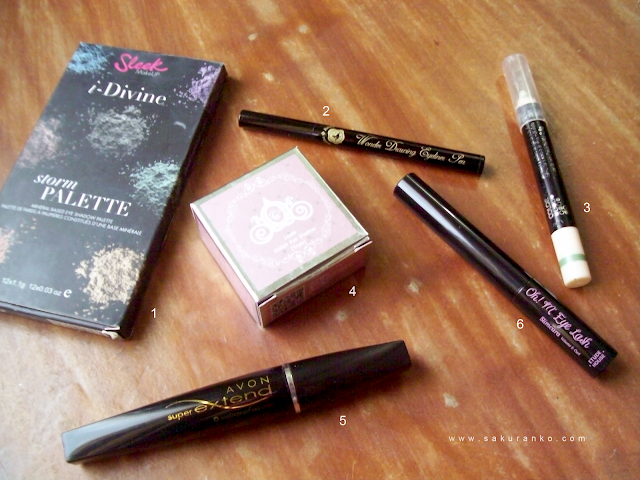 that mascara is one of my favourites from Avon! what editing program did you use? All these products look so cool! Great post! Happy New Year, wish you all the best!!! Oh, there are some products I really want to try now. ^^ Thanks for this list! 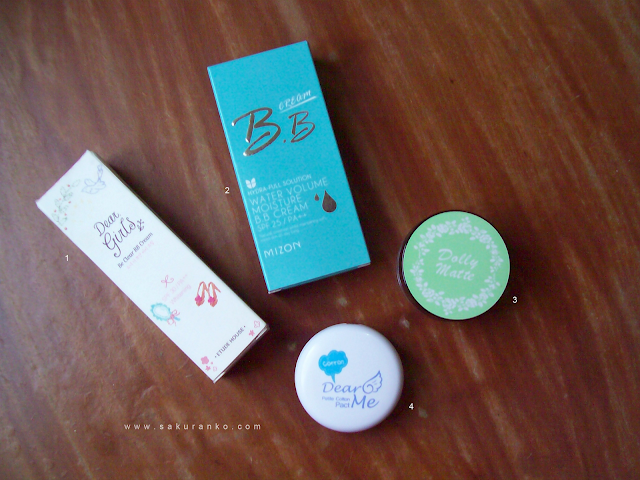 I LOVE Etude House and TonyMoly!! ;_; Very pretty! I love those pens, Happy New Year! The tonymoly gloss bars are awesome! They smell so good too, definitely one of my favs also. Very cool products you chose. I haven't tried a lot of them but they do seem really nice. Nice post. Happy New Year! Thank you for commenting my blog. This is very cool stuffs I guess. It always lovely and fits with you. Thank you for following me. I am following you right back. Happy New Year! 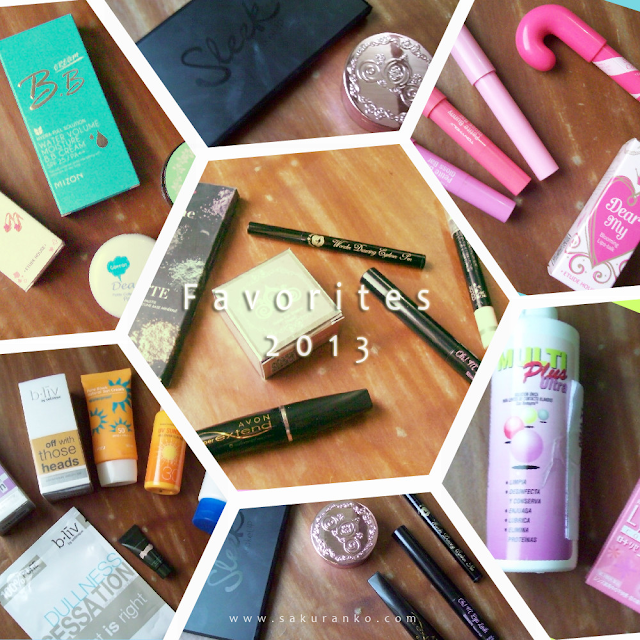 Loved seeing all these great products, good picks. Wishing you a Fabulous 2014! May it inspire greatness and bring you heaps of success and love, topped with happiness, peace and prosperity. happy new year! it's nice to know your favorite products! 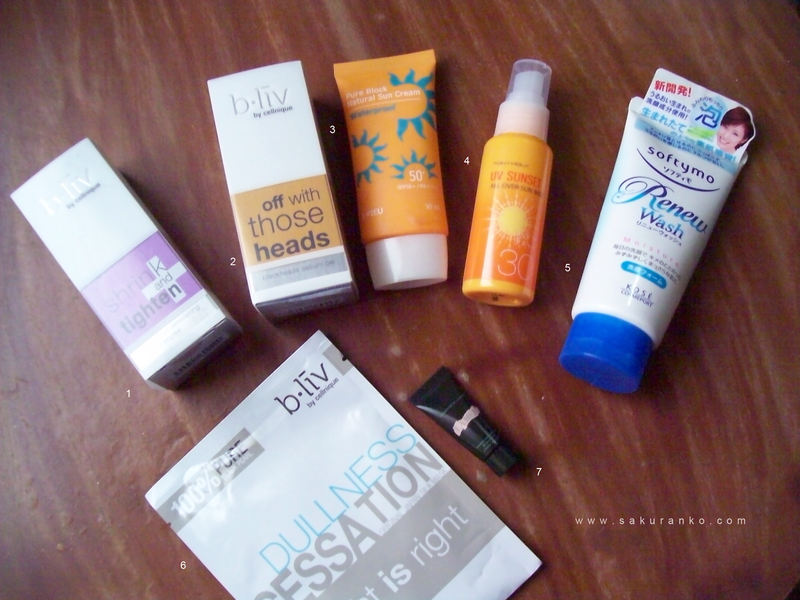 I love b.liv products too!